neither are Thinking and Feeling. But many of us have difficulties describing the differences. And more importantly seeing the benefits of understanding the importance. Let’s have a look what Alan Watkins has to say about it. Alan Watkins is the founder and CEO of Complete Coherence Ltd. He specialises on leadership and human performance. Using insights from neuroscience, cardiology, medical technology and complexity theory to support his ideas and models. 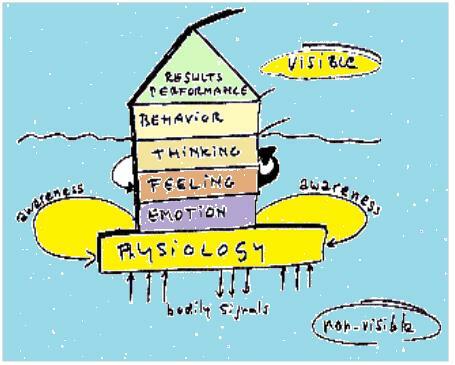 At the base of our performance is our physiology, all the bodily data streams that are processed in our body. Physiological signals are generated by the body during the functioning of various physiological systems. Electric, electromagnetic, chemical and pressure signals which sensor and control our bodily functioning. The signals hold information that can be extracted from these signals to finding out the state of the functioning of these physiological systems. 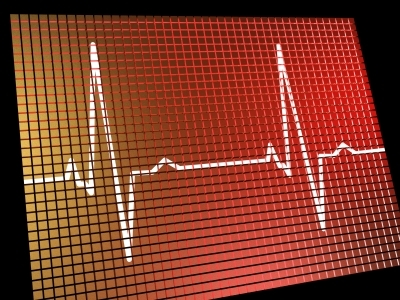 The process of extracting information can range from feeling the pulse to find the state of heartbeats, or it can be so complex that it may require analysis of the structure of tissue by a sophisticated machine. Emotion is the name of a specific energetic signature, a configuration of bodily signals. For instance, the emotional state of anxiety is made up from rapid heartbeat, a dry mouth, and perspiration. The awareness of what our body experiences is called feelings. Feelings determine largely what one is thinking, although the interpretation of feelings (thinking) influence – in a lesser degree – what you are feeling. Thinking about oneself, others, and one’s environment determines behaviour – what someone does- which in turn determines performance. It is interesting that each level in the scheme of Alan Watkins has its own psychological intervention approach to enhance performance of results of someone. Encouraging, as in football matches, is directly aimed at the result. Behavior therapy focuses on modifying overt behaviour and helping clients to achieve goals. This approach is built on the principles of learning theory including operant and respondent conditioning. Cognitive therapy seeks to help the patient overcome difficulties by identifying and changing dysfunctional thinking, behaviour, and emotional responses. Change of the bodily context and control of one’s physiology can change emotions, feelings, thinking, behaviour and consequently performance. Heart Rhythm Coherence is directly aimed at controlling one’s physiology, mainly by awareness and conscious control of the breath, as in many forms of meditation. Nowadays this control is possible by using biofeedback. Models and theories that are hierarchical are often deceptively simple to understand. There is something attractive about simple models, and they are a good starting point to continue exploring the subject. Yet the underlying relationships between the factors may in reality be complex and multifaceted. Consider the relationship between feelings and emotions. An emotion is a physiological experience (or state of awareness) that gives you information about the world, while a feeling is your conscious awareness of the emotion itself. Feelings lead to us to establish a long-term attitude towards reality, while emotions establish our initial attitude towards reality. Are happiness and sadness emotion? It could be argued that sadness is an emotion and that people can identify what caused them to feel sad, they lost their job. While happiness is often more difficult to link to a specific event. You may say that you feel OK and there is nothing specific. Lisa Feldman Barrett says that there is more going on when a person feels an emotion than just a physiological response. Some kind of processing must happen between the physiological response and the perception of the emotion. We may have to make sense of the meaning of the physical responses before knowing what emotion we are experiences. Yet meaning is based on our prior experience, context, and social cues.